Are you looking for unique group accommodation for a school camp, family weekend, staff trip or another group event? Then book your stay in the Hotel Ship It Beaken group accommodation. 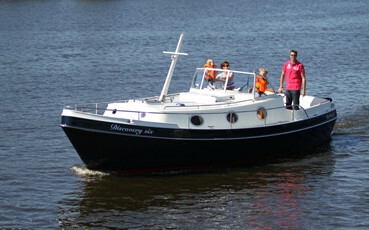 Our boat rental centre is located in our modern marina in Heeg, ten nautical miles from the IJsselmeer. With 208 berths and a friendly nautical cafe for customers and guests, we’re delighted to be the basis for your holiday on and around the water. Our marina is the ideal starting point to visit Friesland’s wealth of idyllic villages via the surrounding lakes and waterways. 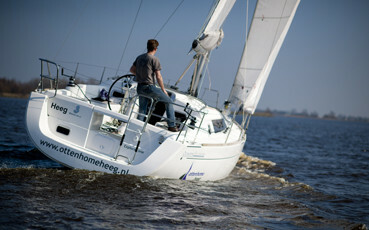 It’s also easy to sail to the IJsselmeer via the locks in Lemmer, Stavoren or Workum. Our fleet consists of 120 well-maintained and modern cabin yachts, open yachts, motorboats and sloops. All are designed and equipped to make your sailing holiday safe and comfortable. 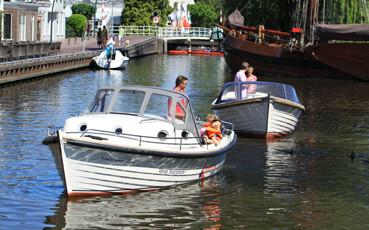 As for that holiday feeling; it starts on arrival at our marina. This is where we do everything we can to get you in the right holiday mood right from the start: from sorting out the rental formalities and giving instructions, to handing over the boat to you. If you have to wait in the meantime, or aren’t ready to sail straight away, you can relax and enjoy the friendly family atmosphere at the marina. You can enjoy a tasty breakfast on the terrace, have a fresh cup of coffee while you wait, or relax over a beer by the fireplace in our nautical cafe in the evening. There are modern sanitary facilities, and free Wi-Fi for customers. In 2017, Ottenhome Heeg opened a new service: Ottenhome Heeg Campers. Check the website for all information, availability and prices.